Is Laser Treatment the Best Option for Hair Removal? With summer almost here, who would want to miss out on a beach trip or a visit to the rooftop pool? If you want to be ready for a beach season, it’s certainly time to consider your options when it comes to keeping your bikini line, hands and legs swimsuit-ready. Let’s take a look at some common hair removal options, and their different levels of convenience, pain, expense, and longevity. Waxing is a common method of hair removal in which warm wax is applied to the area and pulled off in the opposite direction with a waxing strip, pulling hairs out at the roots. It works best for underarm, bikini area, and leg hair removal. It is great for women with coarse, dark hair. This method temporarily removes hair at the root and results lasts for an average of about 3 weeks. However, the procedure can be moderately painful, since hair is ripped out at the root. Also, it can also lead to ingrown hairs. Also, in order to be effective, waxing needs some hair re-growth as the wax needs at least 1/4-inch of hair to adhere to. The cost can range anywhere from $35 to $80, depending upon the areas waxed and your choice of salon. Depilatory creams contain chemicals that weaken the hair so that it can be wiped off effectively. They are best for people who want a quick, easy, and relatively painless hair removal option to do at home. This option is most popular for facial hair, underarms and bikini line. These creams can be used at home, and remove hair slightly below the surface of the skin. They promise a slower and less coarse re-growth as compared to shaving. However, the chemicals in such products can irritate sensitive skin, especially on delicate areas. Also, the creams are infamous for their smell and can also lead to ingrown hairs. The cost of these creams is $6 to $12 on average. Laser hair removal is one of the most effective and popular options available today. During treatment, the laser penetrates the skin and targets the hair shaft to inhibit hair growth. It basically destroys the hair follicles, which means it can help achieve permanent hair removal for men and women. Usually, hair on the treated area falls out within 2 to 3 weeks. Laser hair removal is best for people who have hair that is darker than their skin. It is not suited for people with dark skin and pale hair, since it targets the melanin in the hair. The treatment is great for long term hair removal on all areas of the body. It does not cause any damage to the skin and therefore the most sensitive skin can be treated. There’s a good reason why so many people are even opting for facial laser hair removal. 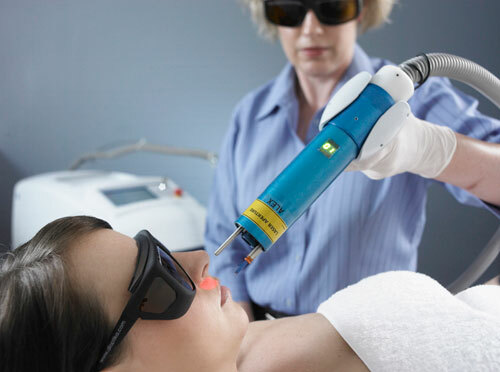 Amongst all other methods of facial hair removal for men, laser treatment is considered the most effective. The cost can range from $95 to $250 per session, with an average of 6 sessions recommended, depending upon the area being treated. While it may seem quite expensive, many consider laser treatment as an investment that pays off in the long run. It is the most effective treatment considering how much you spend over a lifetime with other hair removal options. To know more about body or facial laser hair removal, fix up an appointment with a specialist. Treatments > Is Laser Treatment the Best Option for Hair Removal?